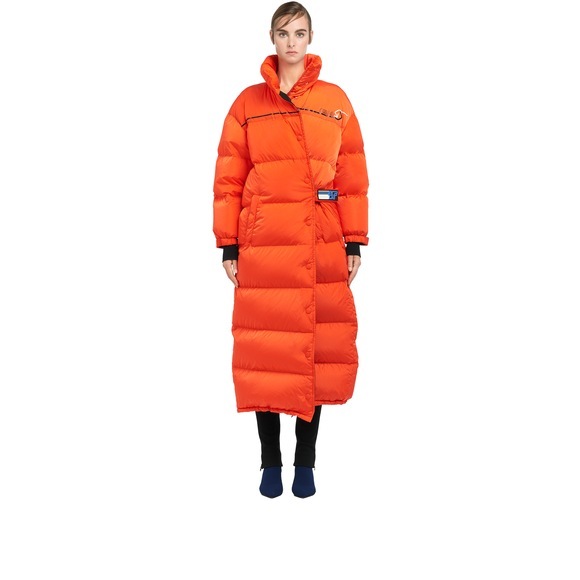 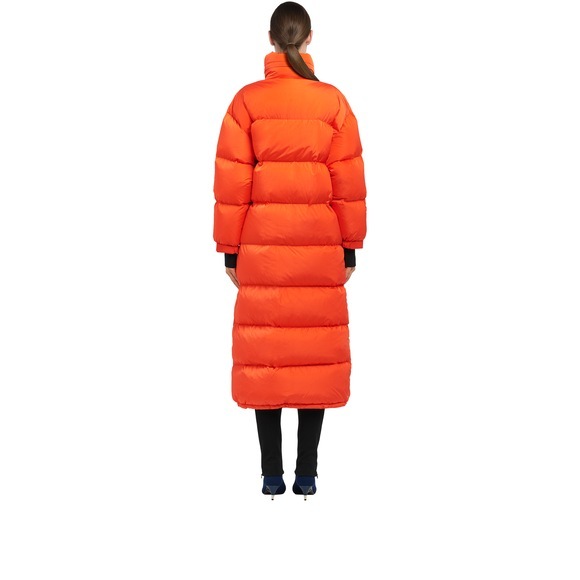 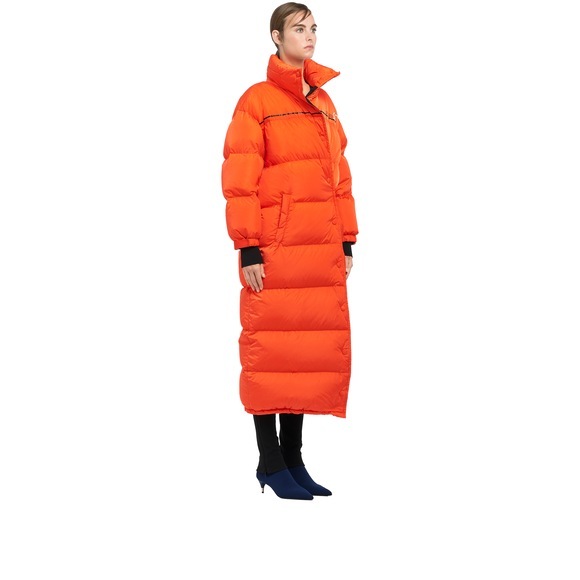 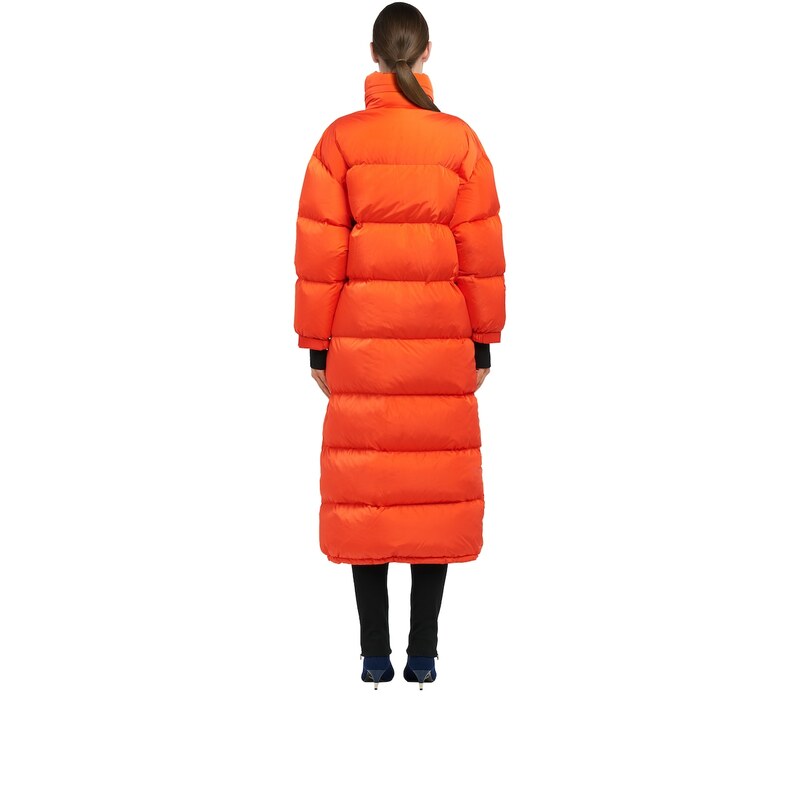 Light Feather Nylon puffer coat with a contemporary design and geometric volumes. 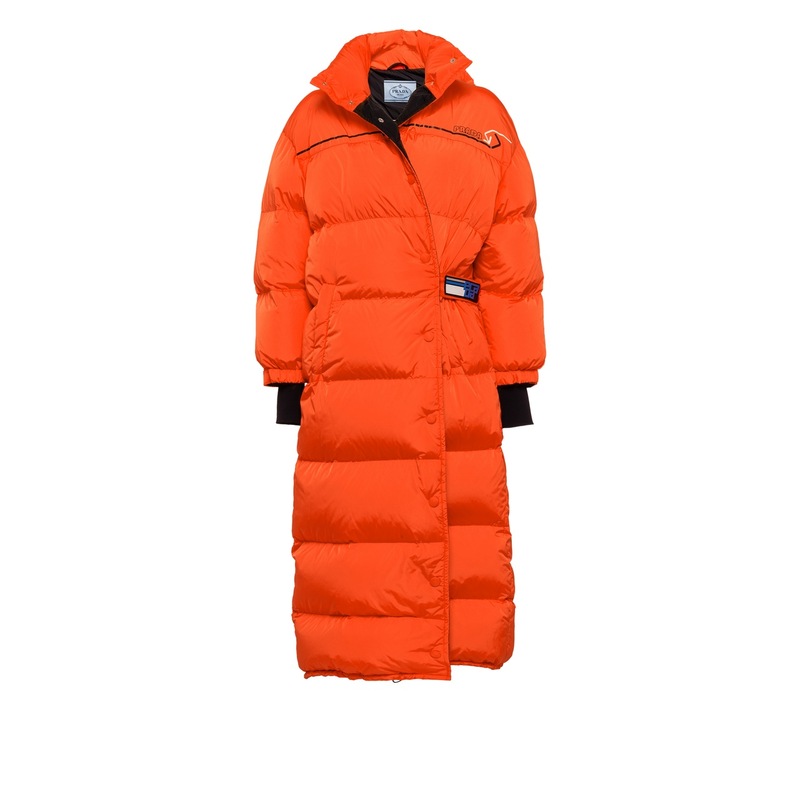 The coat has a front button closure and a rubber logo strap. 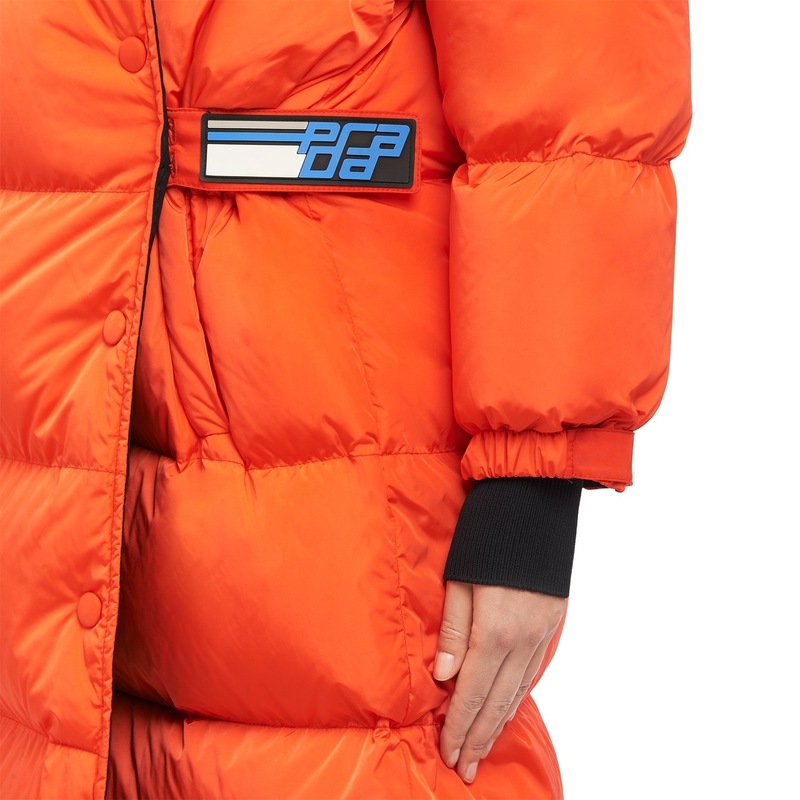 A contrasting logo decorates the chest.